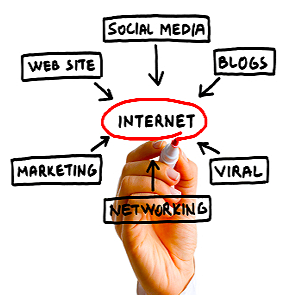 An effective online presence is essential to your success. Doing this requires more than just creating a website. That’s the easy part. The difficult task is getting noticed in the large sea of other sites that you’re competing against. That’s where SEO Arbiter comes in. We’ll take your business to the NEXT LEVEL with an integrated online marketing approach, including Search Engine Optimization (SEO), Pay-Per-Click Management, and Reputation Management. SEO, or Search Engine Optimization, is simply the process of increasing your website's rankings in the Search Engines, specifically Google®. Find out what a real SEO company can do for your rankings, by utilizing the power of "off-page" factors to catapult your site to the top of the Search Engines. Paid online advertising can be a highly-targeted form of advertising, but only if implemented properly. Google® Adwords can be a complicated process when navigating through lists of keywords, creating effective ads, and online bidding. GIS will get you seen by more customers, while also costing you LESS in marketing dollars. Essentially, you’ll pay less while profiting more. Have you ever wondered what potential customers find when they research your business? Hopefully, they are only finding everything that makes your product or service unique and wonderful. What if, however, they find undesirable messages that could negatively impact sales? GIS can act as your own virtual PR agency and make sure they only receive positive messaging regarding your business. We want your target buyers to know they can go to your website for what they need. This is known as Internet Branding. With our help, we can get hundreds of consumers to notice and recognize you as their choice for what they need and care about. Brand awareness – your customer will know what your company offers. Brand recognition – your customer will make an immediate connection between you and the product. Brand loyalty – your customer will see your product as "superior". Brand equity – your customer will see more value in your product.